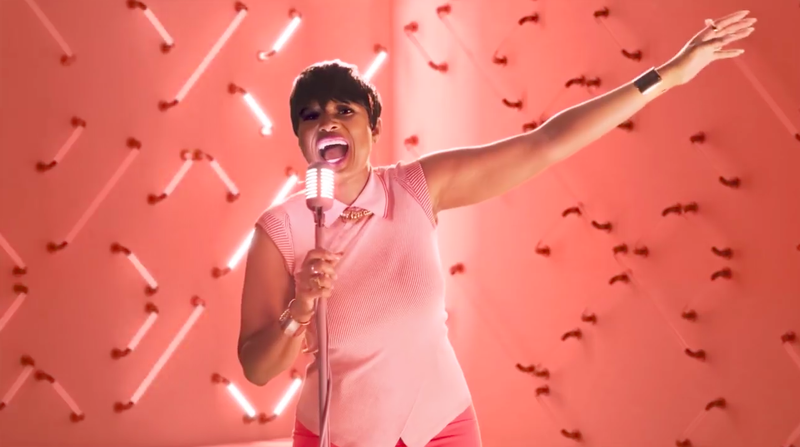 Shell is rebooting the #makethefuture music video it launched last month that featured musicians Jennifer Hudson, Luan Santana, Pixie Lott, Steve Aoki, Tan Weiwei and Yemi Alade. It's the same song—a cover of American Author's "The Best Day of My Life"—but now it's been reformatted for Snapchat's vertical video and offers interactive features. A Snapchat user can switch between the six artists as they sing the tune—an experience that is designed to create a personalized soundtrack. The user can also tap the video to engage animated elements that represent Shell's #makethefuture bright energy ideas, including concepts like recycled coffee beans, windmills on busy roads and gravity employed to generate off-grid electricity. The video began appearing via Snapchat's Snap Ads on Wednesday and will run through at least December. The overall endeavor represents an initiative with Shell, Snapchat and Interlude, a company that helps bring together brands with entertainment. A version of the music video can be found here. "We want to engage and inform younger, digitally-native audiences about clean energy initiatives in a way that is exciting to them," said Malena Cutuli, group head of integrated brand communications and capability at Shell. Shell isn't the only petroleum brand to take a stab at interactive music. Late last month, BP rolled out an interactive gas pump called Miles, which offers voice instructions for activities such as listening to tunes, social media sharing, video ecards and trivia.